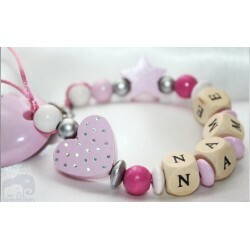 This is original and personal gift for a baby, also a nice baby shower gift, a newborn gift or the first birthday gift. 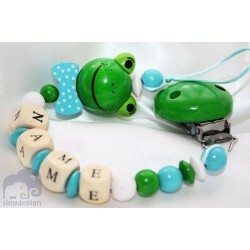 This handmade pacifier clip with a cute crocheted bunny will be very useful for the little hands. 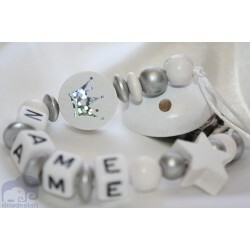 When you make your order, write the BABY'S NAME in the notes. 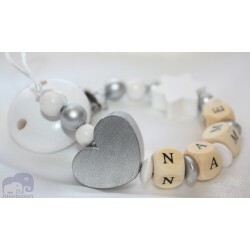 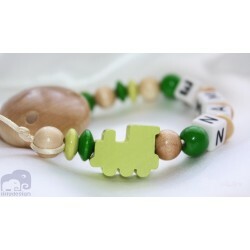 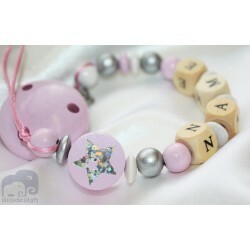 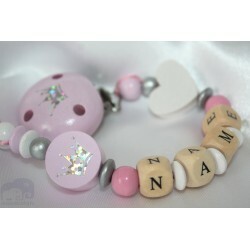 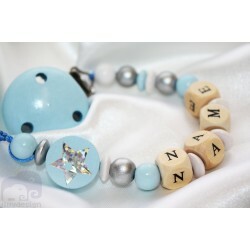 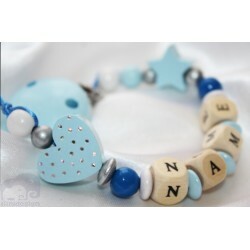 Material: 100% cotton yarn, wooden beads, wooden letters and wooden pacifer clip. 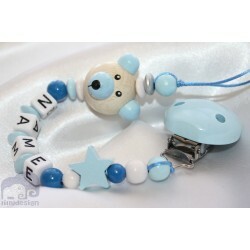 NOTE FOR PARENTS: although this pacifier clip is made to be very safe for babies and children, use under direct adult supervision. 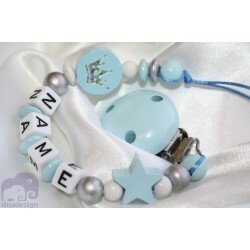 Do not leave your child unattended or sleeping with pacifier clip!